2009 is almost over. 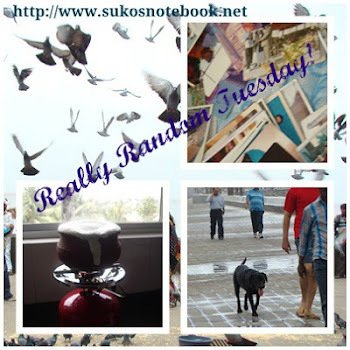 How would you like to create a collage of sorts of your blog from the past year? I came across a fun meme for the end of the year on Kate's Book Blog. This meme is by Melanie from The Indextrious Reader. 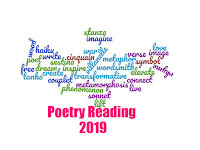 The idea is, in Melanie's words, "to take the first line of each month's first post over the past year and see what it tells you about your blogging year." I did this, skipping over quotes from books, and my result is a real hodgepodge. 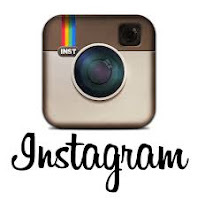 To read any post in its entirety, click on the month of the post. I love to read biographies about great people, and in an attempt to get to know our forty-fourth president better, I've just read Dreams from My Father: A Story of Race and Inheritance by Barack Obama. Like so many others during my high school years, I yearned to visit India. What a perfect start to the summer! Once again, I have a confession. Linda Weaver Clarke fuses together her passions for history, storytelling, and writing. Last month, I was honored by two new awards from fellow book bloggers. I was thrilled to receive Enna Neru's book, An African Tale, which arrived all the way from Botswana! What a fun meme! This is a good representation of my blogging in 2009. Why not visit Melanie's blog and try it yourself? Rub-a-dub-dub, three pigs crave some mud. 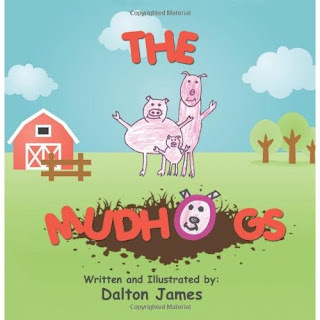 The Mudhogs is a children's book written and illustrated by Dalton James. Published in 2009, the book tells the story of three pigs, Piggy, Piggles, and Piglet, who are on a quest for mud, because it hasn't rained in several months. This is the first book I've read that's narrated by a tick! What also makes this book special is that the author was only 8 years old when he wrote it, and it's his third book. I was charmed by this book and wanted to see how children would react to it. First, my daughter, Angela, age 12, read it. She thought it was a lot of fun. Then I brought it to my nephews, Baxter, age 4, and Erik, age 7. I read it to Baxter, and Erik read it to me. There were smiles and giggles, and both boys understood the story. The Mudhogs held their attention from the first page until the last. In addition to reading his book, I had the opportunity to interview Dalton, and asked him some questions about his career as a young author. 1) Welcome, Dalton! You've written three books, The Sneakiest Pirate, The Heroes of Googley Woogley, and The Mudhogs. What or who inspired you to write your first book? DJ: My first grade teacher, Ms. Shoupe, read a book called Yuck Soup to us in school and then gave us the assignment of writing what we would put in yuck soup. I came home from school and told my dad that I wanted to write a book. He asked what I wanted to write about and I made a list of cool things I liked. I decided that I would write about pirates and I wrote The Sneakiest Pirates. 2) How long did it take you to write and illustrate The Mudhogs? DJ: It took me about 3 months to get it all done, but it's because I have lots to do like school work and sports. It only took a couple days to get the story thought out and then write it but it took a while to draw and color all the pictures. 3) Are pigs your favorite animal? DJ: Yes! I love pigs. I would love to have a real one, but my dad said we couldn't have one in the house. I have lots of stuffed pigs though. 4) Do you have any advice for other people, of all ages, who want to write books? DJ: Just write down what you dream about. I always see the stories in my head and then I just tell my dad the story and then try and draw what the pictures looked like in my head. 5) I read that you're a senior black belt in Tae Kwon Do! What else do you enjoy doing when you're not working on a book? DJ: I like to read books, play outside, play basketball and baseball. I'm pretty busy most of the time. 6) Will there be a fourth book? DJ: Yes, I am almost done illustrating Super Pete Saves the Day, which is the third book in my series about the adventures of my dad and me. I have thought out a book called Snouter Pig, about a superhero pig, and I'm trying to think of a second story about the Mudhogs. 7) What do you want to be when you grow up? DJ: I would like to be like my daddy and be a pediatrician, but sometimes I would like to grow up and be a writer or a policeman. Thank you, Dalton. I wish you continued success with your books. It has been a lot of fun to read your book and interview you. Special thanks to Dalton James and Bostick Publications for sending me this book. "Read this book and you will discover that there is only one beauty, and you are that." How could I resist a book with this quote on the front cover? I marveled at Deepak Chopra's first book, Ageless Body, Timeless Mind, published in 1993. Back then I was a new mom, and felt a sense of great possibility nurtured by Deepak Chopra's beliefs and ideas about how we may contribute to our own health and well-being. In Love Your Body, Love Your Life: 5 Steps to End Negative Body Obsession and Start Living Happily and Confidently, body-image expert, speaker, and writer Sarah Maria, who has trained with spiritual and self-help teachers including Deepak Chopra, Dr. David Simon, and Wayne Dyer, presents ways to banish negative body obsession (NBO). Sarah Maria decided to write this book because she suffered deeply from NBO, eating disorders, and low self-esteem. She's certainly not alone. In fact, negative body obsession is a modern cultural epidemic, and the statistics for eating disorders are quite alarming. In America alone, nearly 10 million females and 1 million males are battling eating disorders such as anorexia and bulimia, and millions more suffer from binge eating disorder. But there is hope. The author wants us to know that we can move beyond self-loathing, beyond the "Barbie doll-like" images we're bombarded with by the media. She stresses the value of being more gentle and loving with yourself, instead of demanding an unrealistic and unattainable standard of "perfection". Beauty comes in all sizes, shapes, and colors. Love Your Body, Love Your Life provides a five-step plan to help people learn how to love their bodies and their lives. Without revealing too much of the book, here are the steps in the process, and a few related quotes from the book. Set a Powerful Intention ~ "The power of intention is the power of love." Identify and Detach from Negative Thoughts ~ "Proactively identify and detach from the negative thoughts that are keeping you trapped." Discover Who You Really Are ~ "As nature is, so am I." Befriend Your Body ~ "Experience the majesty of your own body." Live Your Purpose ~ "You were intended to realize your soul's highest potential." I definitely recognize the influence of Deepak Chopra's special blend of new-age spirituality and thought on Sarah Maria's work. This book is empowering, especially to women, and counts toward the Women Unbound Reading Challenge. At the very core of Love Your Body, Love Your Life is the importance of changing your thinking--about food, about your body, about your very being. By changing your thoughts, you can change your life for the better. Special thanks to Paula and Penny from AME for sending me this very positive book. It is he who heals the broken in spirit and binds up their wounds, he who numbers the stars one by one. 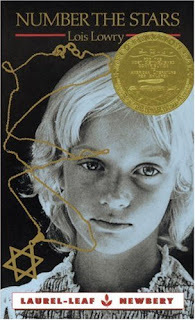 After reading and reviewing The Giver by Lois Lowry, many others recommended Number the Stars to me. 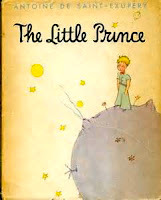 In my tortoise-like fashion, I obtained and read a copy of this novel, which won the Newbery Award for being the most distinguished contribution to American literature for children in 1990. Briefly, this work of historical fiction takes place in 1943 during World War II and the Holocaust in Copenhagen, Denmark. Nazi soldiers have invaded the town during the five-year German occupation. When the Jews of Denmark start being "relocated", 10-year-old Annemarie Johansen and her family risk their lives to help Annemarie's best friend, Ellen Rosen, a young Jewish girl, by having Ellen live with them where she poses as Annemarie's older sister. The title of the book is from a line in the psalm quoted above, and also refers to Ellen's Star of David necklace. When my 12-year-old daughter, Angela, finished the book she was reading, she clamored for another book. I suggested she read Number the Stars. At first, she was reluctant to read it, but once she started it, she was hooked and declared, "It's so good!". I decided to share this review with her, so you'll have the perspective of an adult and a child. I got the idea to do a joint review from Amanda from The Zen Leaf, who does them from time to time. I found this book to be extremely touching. I was immediately drawn into the story and the ways in which the children experience life during wartime. How long did it take you to "get into" the story? Did the first chapter, when the kids are racing home and bump into Nazi soldiers, capture you as it captured me? Angela: Yeah, it really did. I was hooked after the fifth page, I think. I wasn't too thrilled when I first saw it, even though I had heard very good things about it from friends, and of course, family. But I gave it a chance, and I'm very glad that I did! Life before the war was much more carefree. Now there are food shortages and soldiers on every street corner. How do you think Annemarie and Ellen feel now? How about Kirsti, who yearns for "a big yellow cupcake with yellow frosting"? Angela: I think Annemarie and Ellen feel like part of their life has been taken away. I know that I would feel that way if soldiers just invaded our town, and left us with barely enough food to go around. Kirsti, I think, only remembers little things from life before the war, like big yellow cupcakes and "fireworks", so she is not as affected. You're right, Angela. Kirsti doesn't understand as much as the older children do. I found the presence of the Nazi soldiers rather menacing. Deftly, the author made me feel frightened with just the right words. How did you feel when the Nazis pounded on the door? Angela: I felt as if I was right there in the story with all the characters! I felt their anxiety, tension, and relief when the soldiers left the apartment. Lois Lowry really did a great job putting her readers into the story! Now I just have one question for YOU! I know you have read another book by Lois Lowry, The Giver. How did Number the Stars compare to it? While I found the dystopian world of The Giver to be quite thought-provoking, I think Number the Stars is absolutely incredible. 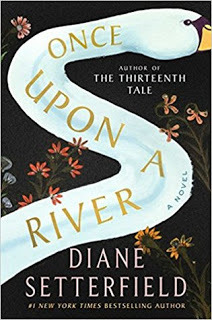 The author allows us to see the war through the eyes of Annemarie, the protagonist, and gives us just enough descriptive details; our imaginations fill in the rest. It's a perfect story in so many ways, on so many levels, a story about friendship, compassion, love, bravery, and hope, in spite of the war and hard times. As you know, Angela, I actually started to reread this book soon after you read it, because I wanted to experience its beauty again. I'm sure that I'll reread this gem many times. What more can I say about Number the Stars but that I highly recommend it for both children and adults. 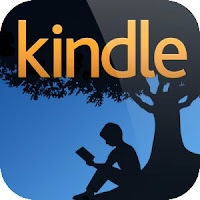 For another review of Number the Stars, please visit The Reading Life. The latest winner hails from Socrates' Book Reviews. Please congratulate Yvonne! 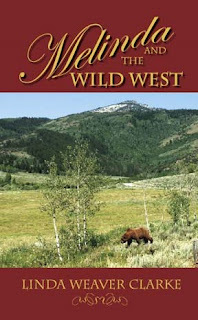 She's the lucky winner of an autographed copy of the first book in the Bear Lake series by Linda Weaver Clarke, Melinda and the Wild West. "Christmas is a season of giving, so I would like to show my thankfulness to all my friends by giving a few books away for Christmas. To enter the give-away, visit my blog and leave a comment along with your e-mail address. I hope all of you enjoy this wonderful Christmas season." Currently I have a couple of other giveaways hosted by Laura's Reviews posted on the right side of this blog, which you might wish to enter before they're over. Additionally, followers and those who post about my contests will get extra chances in subsequent book giveaways. Stay tuned for more in the near future! Thanks to everyone who participated in this giveaway! Two books arrived in the mail today! Run by Ann Patchett arrived all the way from the Netherlands, along with a beautiful poem and holiday note signed, "A friend from the other side of the Ocean". Special thanks to my Secret Santa from the Book Blogger Holiday Swap for the lovely gift. I think I'll really enjoy reading it. 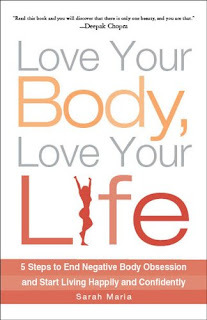 I received Love Your Body, Love Your Life by Sarah Maria from Paula and Penny of Author Marketing Experts, Inc.. I chose to read this book because it's endorsed by Deepak Chopra, David Simon, and others, and because it sounds like a very positive book, especially for women. While I receive many books in the mail, this is only my second Mailbox Monday, which is hosted by Marcia from The Printed Page. I was thrilled to receive Enna Neru's book, An African Tale, which arrived all the way from Botswana! 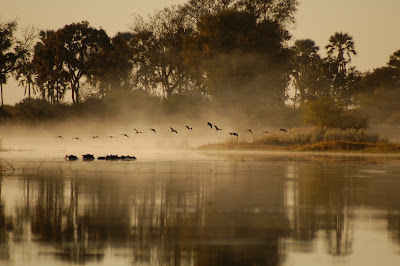 Some readers of my blog already know that I am absolutely intrigued by this African country. 1) Welcome, Enna! Thank you so much for sending me your wonderful book, and for answering some questions. Please tell us a bit about your background, and the inspiration behind An African Tale, which I've just read. 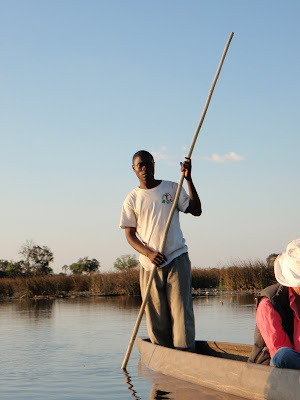 EN: I run a camp on the edge of the Okavango Delta. This camp started off very humbly about 17 years ago with just a camp site and outside ablutions, we didn't even have electricity or phones, (no cell phones in those days). Over the years it has grown into quite a substantial business. 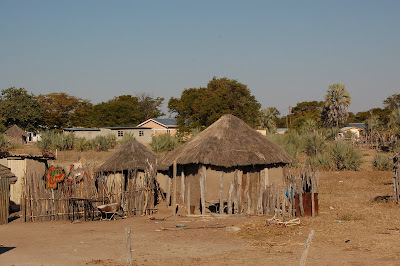 Village close to Maun is a mix of traditional thatched huts and modern brick buildings. Along the way I have been doing a lot of work with the communities that live in the Delta, taking tourists out to do "mokoro" (dug out canoes) trips with them. The idea was also to try and slowly bring the rural communities into the modern world of business without handouts so that they would have something substantial to build on. Spending time out there in that changing but unchanged world, sometimes not very far from town, is probably where I started to dream up this story. Mokoro rides in the Gotomi River. 2) Africa has a long tradition of folktales, populated by semi-gods and animals with human (speaking) and magical powers (flying, changing size), which you incorporate into your story. I envision parents reading this book to children, a chapter or two each night before bed. 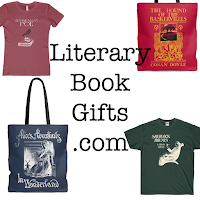 Were folktales recited to you as a child, did you read them in books, or both? 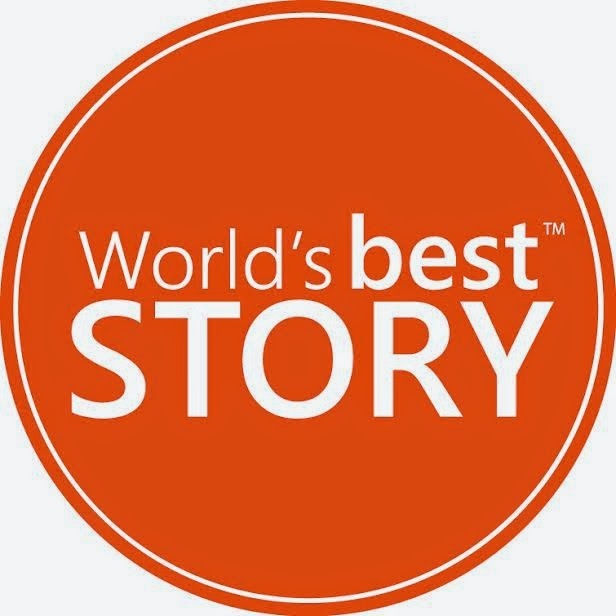 EN: I wanted to write a story for African children using the old and the new and trying to show them how a balance is needed between the two. A lot of times when kids leave their rural homes for school and the modern world they disregard what they have left behind describing it as backward. I grew up with a father who had many traditional tales in his head and it was always a nighttime treat, some of it passed down, a lot just made up on the spot. 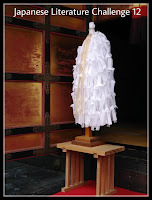 Some of what I have used is taken from traditional material but a lot is just fantasy. 3) Although An African Tale is a children's book, there are important messages in it about the conservation of natural resources. 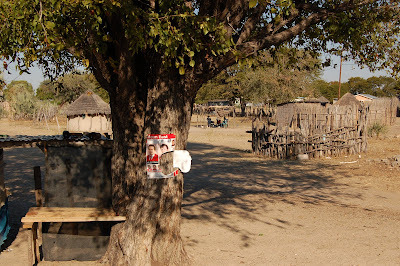 How has the modernization of Botswana helped and hurt this African nation? EN: Botswana started out life after independence in 1966 as one of the poorest nations in the world and is now thanks to the discovery of diamonds one of the wealthiest ones. It is a very peaceful and well run country and its people are prospering. The downside is that it is built on Kalahari sand and most of the country is semi-desert which means a lot of thought needs to be given to the environment. Overdevelopment is going to put a huge strain on this. 4) Because I'm not that familiar with African names, which are quite lovely and lyrical, your list of Setswana names for the creatures and characters in your story at the back of the book helped me to keep track of them and learn their meanings. How important are names in Africa? Does Enna have a special meaning? EN: Names are very important in Botswana and I would say generally in Africa. The more pleasant ones such as Lorato and Lesedi are used a lot. Enna is actually Anne backwards as you guessed! 5) As a tea drinker, I became interested in rooibos, or red tea, as a result of reading Alexander McCall Smith's The No.1 Ladies Detective Agency series, where tea is a central part of daily life. Do you drink tea, and if so, what kind? EN: I drink Rooibos, love it. It comes from South Africa. Not everyone likes it here but they do like tea and it is normally drunk in a very large mug with plenty of sugar. 6) What do you enjoy doing when you're not writing? Do you have any interests you'd like to share? EN: Well, I haven't done a lot of writing, this book took ages and then I had to build up the courage to let someone read it! I did write a play which got onto the BBC and helped build a bit of confidence. What I am doing at the moment is getting a project together to work with underprivileged kids in the art world, dance, music, etc.. There is enormous talent out there and the education here tends to concentrate more on the academic side of things. 7) What, if anything, surprised you most after this book was published? Is there another book in the works? EN: It has all been rather exciting because people read it and come back with constructive feedback. I haven't actually finished this tale as Lesedi needs to go to the big city and work things out with Lotobo and we need to do something about that evil character in The Hills. So let's see! Enna, I'm happy to hear that there may be a continuation to this story! Thank you so much for the interview and photos. It's been a pleasure. As always, reader comments are welcomed.